The Durham Diabetes Coalition (DDC) combines data analytics and mapping tools with neighborhood-level health interventions to identify people and neighborhoods with high diabetes risk. A data-driven approach allows for neighborhood-specific public health interventions. People identified as having type 2 diabetes are connected with local health resources, and home visits from a multidisciplinary care team are available for the highest-risk/highest-need residents. The model, which leverages partnerships with local academic, government, and health partners, received a Health Care Innovation Award to expand its model and demonstrate cost efficacy in three states throughout the Southeastern United States. 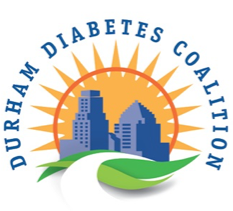 The Durham Diabetes Coalition (DDC) focuses on reducing complications and death from type 2 diabetes in Durham, North Carolina, and identifying individuals who are unware that they have type 2 diabetes and connecting them to appropriate care. The DDC uses a data-driven approach in combination with multidisciplinary teams to deliver highly-targeted interventions to the people and neighborhoods in Durham with the highest diabetes risk. To individualize neighborhood-level interventions, the “Geospatial and Analytics Team” combines mapping tools and patient health data with social and environmental information about neighborhoods to identify high-risk areas for diabetes. Carefully regulated, anonymized patient data is used by community health workers to formulate diabetes management plans that are specifically attuned to each local area’s needs, including its social, health, and environmental characteristics. With the support of the mapping done by the Geospatial and Analytics Team, a “Neighborhood Intervention Team” made up of 5 Community Health Integrators works to link people to existing resources, coordinates health and diabetes awareness events, and teaches workshops on managing diabetes. In addition, a “Clinical Team” – featuring a physician, nurse practitioner, dietitian, social worker, and community health worker – delivers care to people with diabetes and connects them with existing community resources. The Clinical Team delivers an intensive program of home visits for some of the most at-risk or high-need patients, including people who may be homeless or uninsured. Finally, a Diabetes Food Pantry was established in 2014, which donates healthy food to individuals who attend weekly group sessions on diabetes-related issues. The DDC has also run a media campaign encouraging people to take a diabetes risk test and sharing advice for healthy living. The media outreach included PSAs on local radio stations and in newspapers, as well as a series of 30-minute television programs called “Living Healthy” on the Durham Television Network. The Durham Diabetes Coalition (DDC) uses detailed computer modeling to create “hyper-localized” assessments of the locations in the Durham community where residents are most likely to be “high risk” patients, defined in terms of the likelihood of having an emergency room visit, hospitalization, and/or death due to diabetes in the next year. This is done using Geographic Health Information Systems (GHISs), which correlate electronic health record data to environmental data. Thanks to this level of specificity, the community health workers involved in the DDC can customize interventions to specific neighborhoods and providers can use geographic data to personalize care. Additionally, the intricate mapping helps provide a clearer picture of how racial disparities affect health. DDC is a remarkable example of individual care. Providers can use GHIS data to understand the environmental factors that affect particular patients’ daily lives as they live with diabetes. DDC’s personalization goes beyond data though. In 2014, DDC launched a Diabetes Food Pantry, providing healthy food to patients who attended weekly diabetes group sessions. Providers in the program also offer in-home care for the patients that it deems to be at the highest risk. These home visits may be done “tag-team” style, with follow-ups from several specialists like dieticians and social workers. Lastly, a central feature of the coalition is cultural awareness in care. An advisory board works to ensure that all interventions are culturally appropriate. The major medical partners of the DDC – Duke University’s health system, the Lincoln Community Health Center, and the Durham County Department of Health – provide care to almost every resident of Durham County. But the partnerships that strengthen DDC go beyond even this. Multi-sectorial clinical teams, each with a supervising physician, nurse practitioner, social worker, dietician, and community health worker, connect patients referred to the DDC with already-existing programs in Durham. These same teams do the “tag-team” care with high-risk patients. The DDC model, which combines data-driven analytics and mapping with community health interventions, was expanded into the Southeastern Diabetes Initiative (SEDI), which covers parts of North Carolina, West Virginia, and Mississippi. The different sites use slightly different intervention models, and then share data, with the goal of coordinating and developing best practices. The SEDI is sponsored by the Center for Medicare & Medicaid Services’ (CMS) Health Care Innovation Awards, as well as the Bristol-Myers Squibb Foundation. The DDC, as well as the expansion of the DDC model into the Southeastern Diabetes Initiative is sponsored in part by a CMS Healthcare Innovation Award. These awards are given specifically to innovative ideas with a demonstrated potential for long-term cost-savings. The award estimates that the program’s cost savings over its first three years will be just over two dollars saved for every dollar of the award. A major part of DDC’s interventions involve connecting people with diabetes or people at high risk for diabetes with existing resources within the diabetes community. As such, the DDC benefits significantly from the wealth of local health resources already present in the community. In essence, DDC’s multi-sectorial partnerships are even possible, in the first place, because of the number of partners already present. As such, rather than having to deliver all necessary care and intervention, the DDC can largely dedicate its resources to the highest-risk, highest-need populations, while serving as a connector for the rest of Durham’s residents with diabetes. While, ideally, all communities would have sufficient supports available to people with diabetes, replicating the DDC model in communities that lack health resources may initially be costlier and more challenging. In addition, the DDC was created with the support of a major research institution, Duke University. This academic partnership meant that the DDC could build on the support of the university and its Medical Center to establish the medical, public health, and data analytics/mapping elements of its program. While it may not be critical for an academic partnership of this sort to involve an institution based in the community of focus, it does provide significant benefits, including the availability of electronic health records for the community. Finally, the use of individual patient records and information, as always, requires careful and diligent maintenance of privacy and anonymity in order to respect patient rights and establish and maintain trust within the community. Susan E. Spratt et al., “Methods and Initial Findings from the Durham Diabetes Coalition: Integrating Geospatial Health Technology and Community Interventions to Reduce Death and Disability,” Journal of Clinical & Translational Endocrinology 2, no. 1 (n.d.): 26–36, doi:10.1016/j.jcte.2014.10.006. “Health Care Innovation Awards: North Carolina,” Centers for Medicare & Medicaid Services, May 18, 2017, https://innovation.cms.gov/initiatives/Health-Care-Innovation-Awards/North-Carolina.html.